On the 15th September 2017 we marked a cosmic date and the end of a mission. The Cassini probe ended her exploration of Saturn by dramatically burning up in Saturn’s atmosphere. 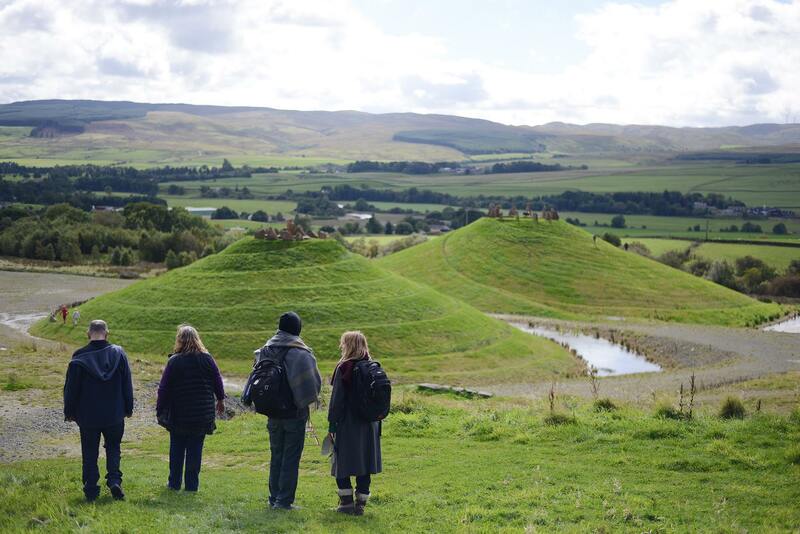 On a site visit to the Crawick Multiverse in Dumfries and Galloway we marked the moment by inviting collaborators to meet across space & time. After meeting at Balance Unbalance in August and SCANZ Canberra, a network of people brought together by Trans Art Alliance connected wherever they were on the planet for this call. Many cultures know the power of intentional ritual and sounding to create relationship between the earth and the heavens. Animals are guided by the many streams of this planet: whale and dolphins echo-locate underwater, bats use sound for aerial navigation, and human electric senses flow with the information from the earth’s systems and the stars. 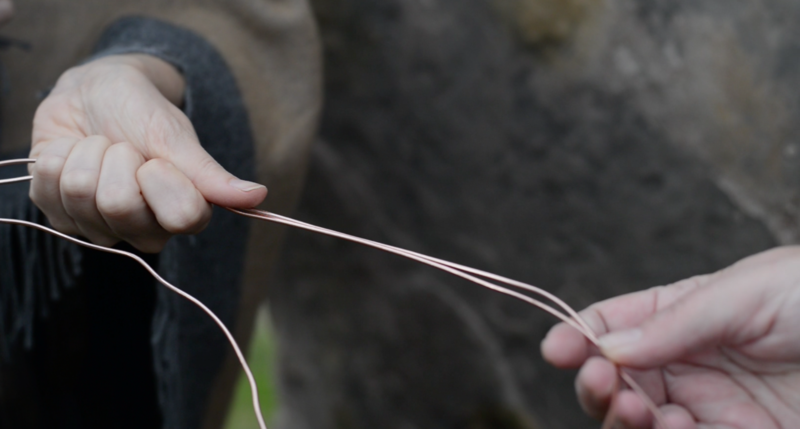 Flexible copper can be both antennae and grounding device and on the 15th September we started to explore combining copper and the electromagnetic human body towards creating communication experiences that connect with the presence of others across the waves. The story of Cassini is a testament to collaborative creative endeavour and the intelligent application of technology to open up our knowledge and perspective on the Universe we live within. We can think of space missions – their launches and completions – as the secular rituals of our technological age. They can mark the cyclical renewal of human creative activity: the information collected by Cassini directs the design of the next missions to Saturn and the ending becomes a fresh beginning. The site of The Multiverse too is a celebration of the possibilities of working together for creative renewal and cosmic vision: located on the watershed of the River Nith, Dumfries & Galloway, land art stretches across acres, transforming the site of this former open cast coal mine into maps of the cosmos. To explore the site is like stepping into experiential science fiction. We got together to create a fresh ceremony bringing together space exploration’s unfolding story, myth, art, science and song, holding the hope for harmonious futures in which science, art, culture and ecology can meet. 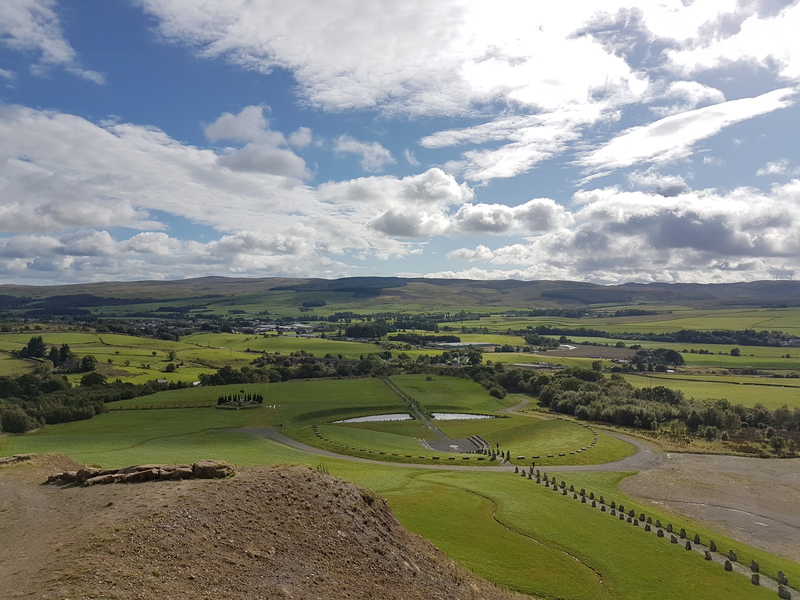 In Scotland the improvised ceremony was held by Katharine Vega and Tracey M Berntsen. Sandy Sur performed ceremony at the bay. 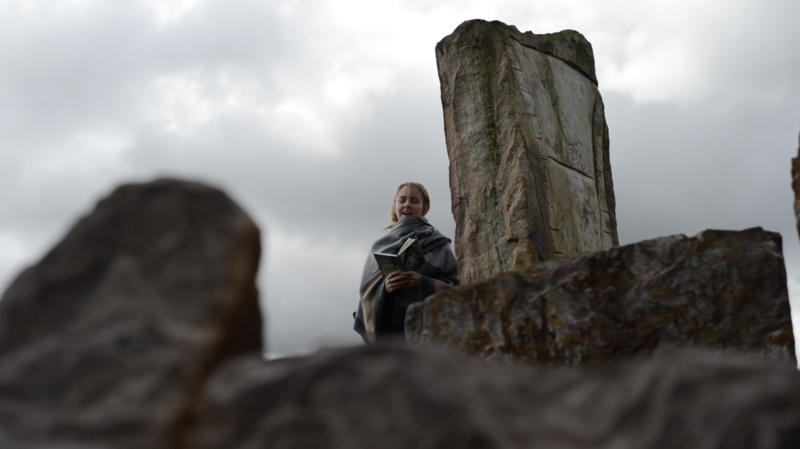 Hege Braathen and Tyr Neilson cast the runes.